Like most businesses, we write a lot of content that our clients not only read, but also judge us on, be it our emails, website content or social media text. We also write on behalf of customers, so it goes without saying that error-free text is a must. And while our team pay close attention to crafting content, we’re only human. That’s why we use Grammarly, an app that helps us get it right the first time, every time. When we first tried Grammarly it managed to find issues that our proofreaders didn’t pick up on the first run through. Some were mistakes, others ‘tone of voice’ suggestions to help make our writing more consistent. We found that Grammarly provided a lot of value to our writing team, and we love it. Grammarly not only proofreads your work for grammatical errors but it also identifies words and phrases which don’t sound ‘quite right’. Best of all, it explains why it believes there’s an error, and you can decide to adopt its suggestions or leave your work as it is. The program checks your text against 250 grammatical rules, spelling mistakes, phonetic issues and irregular verb conjugations. Grammarly detects plagiarism in your work and alerts you before you publish, avoiding potential legal issues. You can use Grammarly with popular web browsers such as Firefox and Chrome. For example, when you’re writing an email in Gmail for example, Grammarly checks for spelling and grammatical errors. Handy! Grammarly integrates into Microsoft Office and Outlook, so any document you are working on will be accurate and error-free. How does Grammarly compare with other writing programs? Most online grammar checking programs are free but aren’t necessarily that accurate. They pick-up basic grammatical errors, but if you’re writing text for your business, your name and integrity are at stake. You want to ensure your content is right. Grammarly is used by millions of people worldwide including professional writers and more than 600 leading universities and corporations, so they’re constantly improving the app. One area of Grammarly that could be improved is the lack of ability to ‘manage’ content. There is no way to group articles, and you can not embed links within content you are writing, which can sometimes be problematic. Surprisingly though, the lack of structure isn’t not much of a daily issue as your most recently worked on articles rise to the top, a simple but effective filtering process. 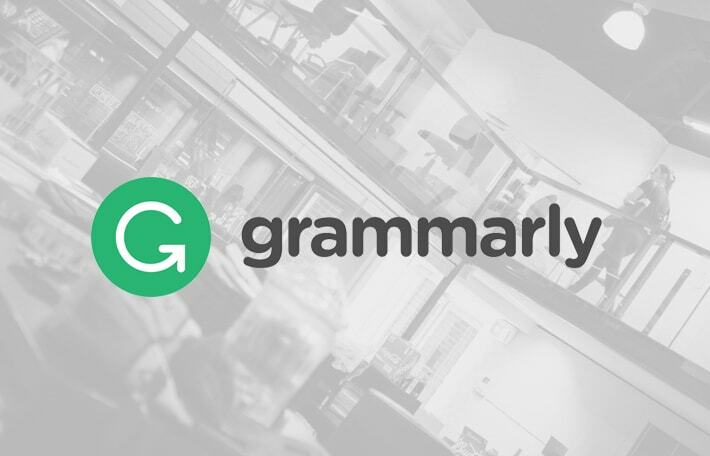 What’s the difference between the free and premium versions of Grammarly? The free version includes 150 essential grammar and spelling checks. However, the most useful features are found in the premium version. These include plagiarism detection, vocabulary enhancement suggestions, and 100 extra grammatical checks. Grammarly Premium also works over several devices, shows you explanations of grammar rules and you can setup reporting statistics via email. Do you need Grammarly premium? 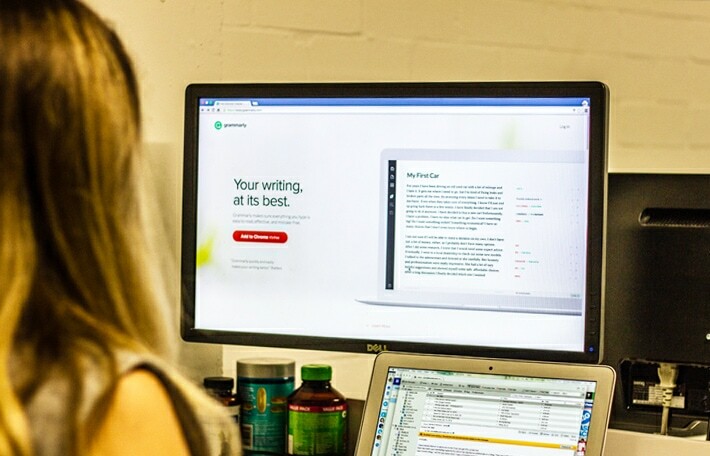 If you only want to check basic grammatical and spelling errors, then the free version is good, but if you want to enhance your writing skills and produce accurate, error-free content for your business, Grammarly Premium is a program that’s worth investing in. If you’re looking for an SEO or copywriting partner to enhance your messages and website engagement, Excite Media are a marketing agency with 27 digital experts working with hundreds of Australian businesses. We know how to get results from your content. After trialling Grammarly for a couple of months now, we are still amazed at the improvement that the app is contributing to our writing. However we did learn the hard way that, much like all web-based apps, there is the looming threat of internet connectivity that threatens your work. Losing your work because of an internet connection drop out is quite possibly the most frustrating problem of working online #firstworldproblems. Having experienced this devastation firsthand we recommend that the best way to use grammarly is to upload your written content after you have developed it. Grammarly, like all apps, has its flaws – falling prey to the pitfalls of internet connections is one of them.